The Assassin, Szeth, is active again, murdering rulers all over the world of Roshar, using his baffling powers to thwart every bodyguard and elude all pursuers. Among his prime targets is Highprince Dalinar, widely considered the power behind the Alethi throne. His leading role in the war would seem reason enough, but the Assassin's master has much deeper motives. 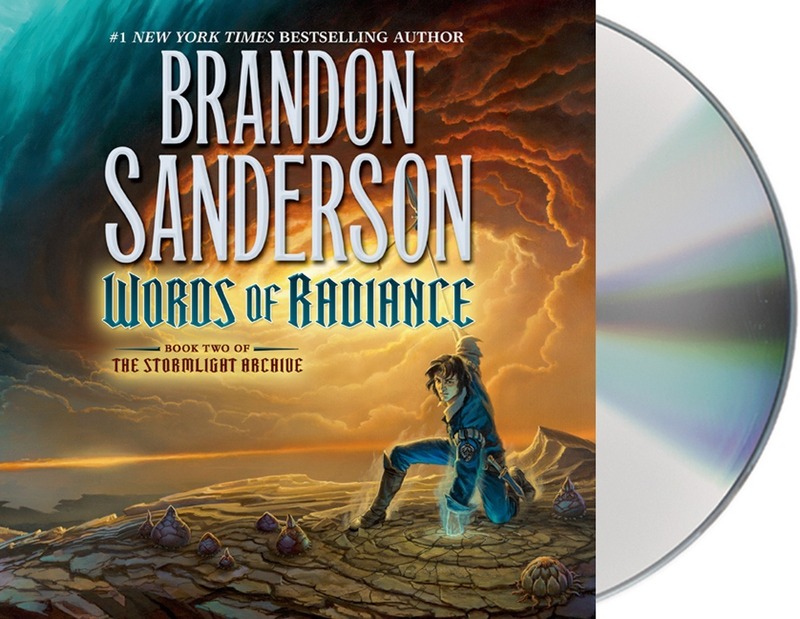 Author Brandon Sanderson talks to Tor Publisher Tom Doherty about Words of Radiance and audiobooks. Hugo Award-winner Brandon Sanderson is the author of bestsellers such as the Mistborn trilogy; the Stormlight Archives; and novels including The Rithmatist and Steelheart. He was chosen to complete Robert Jordan's Wheel of Time® sequence. Michael Kramer received an Earphones Award for his narration of the Kent Family series by John Jakes and for Alan Fulsom's The Day After Tomorrow. He has also read for Robert Jordan's Wheel of Time series. Kate Reading has received multiple Earphones Awards and has been named a “Voice of the Century” by AudioFile magazine. She received a Helen Hayes Award for her performance in Aunt Dan and Lemon.